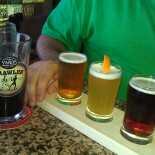 Philly beer week is going on now until June eleventh, as Pat Gallen from CBS3 describes in this mornings news segment. Thank you Pat! I hope to see you around covering the beerweek events. This entry was posted on June 1, 2017 by DuffBrew in Uncategorized.